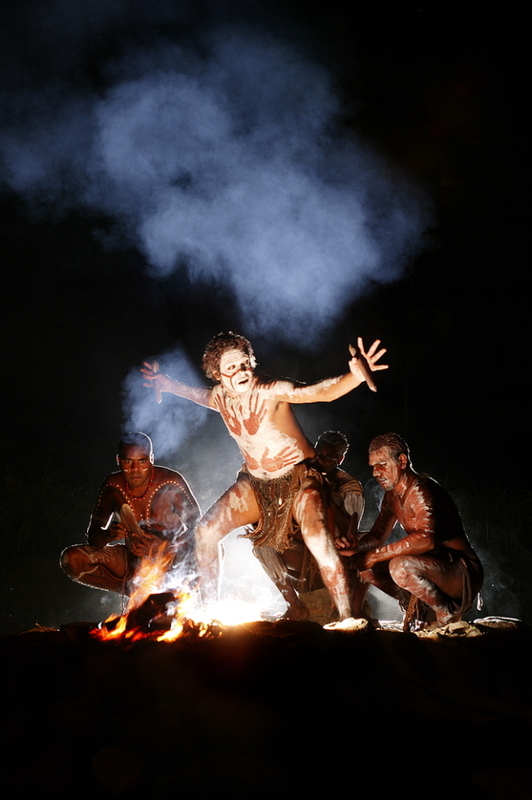 Tjapukai By Night is a Aboriginal Dance Show & Dinner and is great experience that will give you insight into Australia’s ancient indigenous culture! 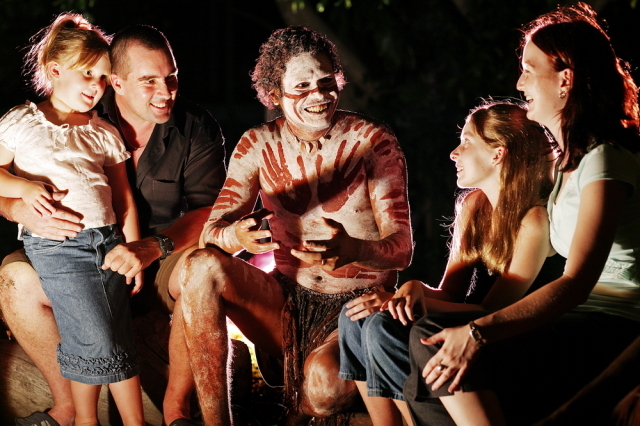 Feel the powerful spirit of Indigenous Australia vibrate through your body as you embark on a mysterious journey into the ancient Tjapukai culture by night. 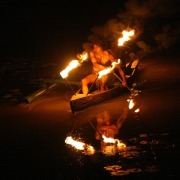 The Quinkan spirit comes to life and takes you through the story waters into the Dreamtime for an evening of entertainment celebrating the unique customs of the people of the rainforest. 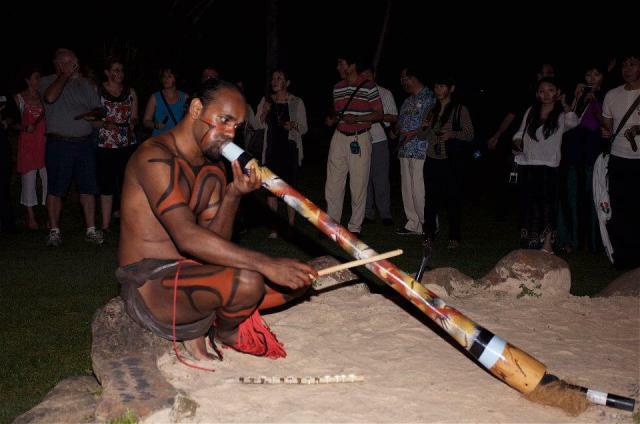 Meet the Tjapukai performers before the show and enjoy your choice of a welcome drink (sparkling wine or juice) in the Retail Gallery where authentic Aboriginal art including didgeridoos and boomerangs can be purchased. 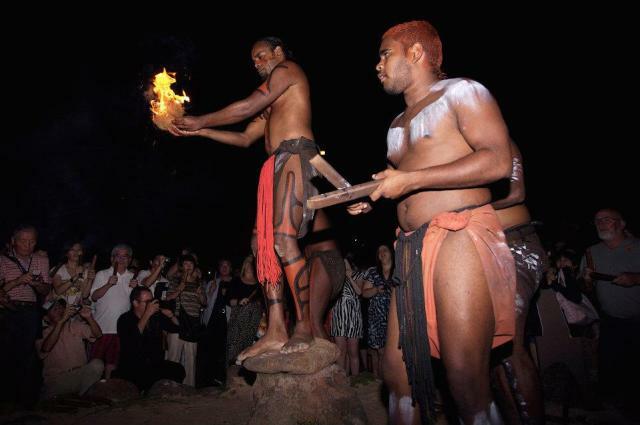 With clapsticks in hand you add to the pulsating rhythm of the corroboree while Tjapukai Aboriginal warriors use traditional fire sticks to create fire. 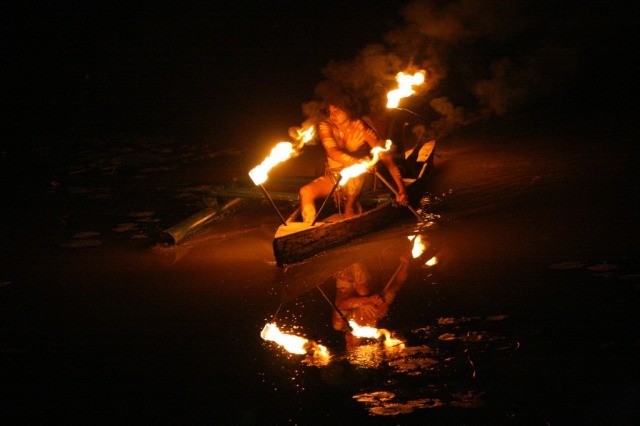 Suddenly a spear is launched and a spectacular fire ball explodes into the night sky. Enjoy dining in the Boomerang Restaurant with an international buffet of hot and cold dishes plus delicious desserts freshly made by Tjapukai’s pastry chef. 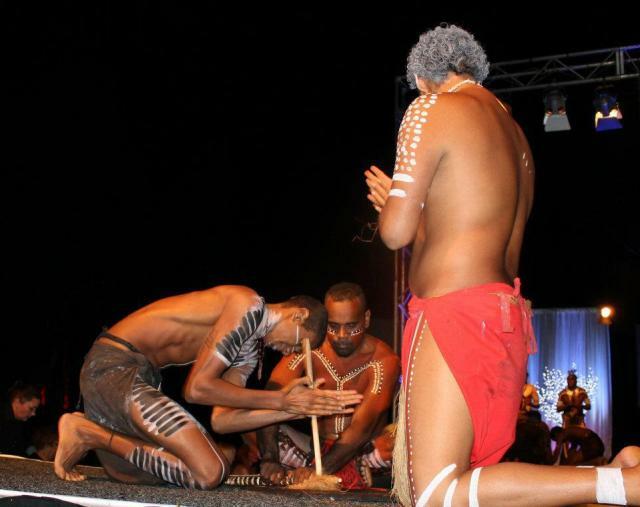 Relax after dinner while the world famous Tjapukai dancers perform live on stage. 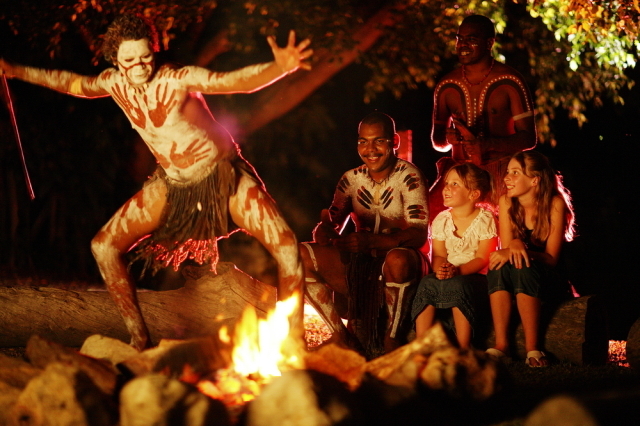 Join the cultural celebrations and learn traditional dances from the people of the rainforest. After the show catch up with the performers around the camp fire for an informal session where you can ask them questions. 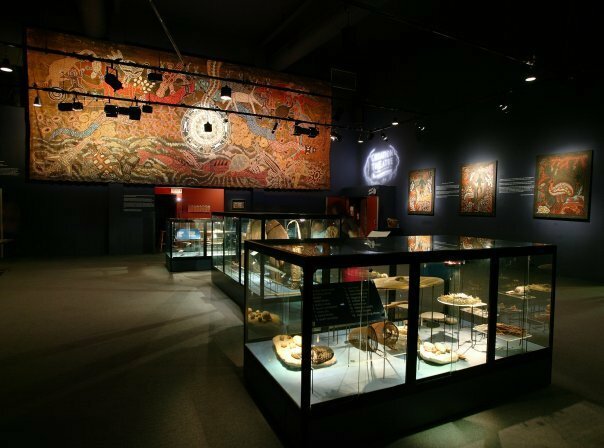 Retail Gallery: Admire the authentic Aboriginal cultural products in the Retail Gallery which displays the Indigenous culture with boomerangs, paintings, didgeridoos and artifacts. Travelling from Cairns city in a northerly direction, continue following the Captain Cook Highway past the Airport. Approximately 15 minutes after leaving Cairns is the area known as Smithfield / Caravonica Lakes, easily identified by the Skyrail Rainforest Cableway and the Tjapukai Aboriginal Cultural Park situated side by side, facing the main road. Take the roundabout and turn left, and you will be on the approach road to Tjapukai. The canapes were lovely and the dinner excellent. I have difficulty walking and was very impressed with how attentive they were to my needs. A wheelchair was brought in to take me to the show and then back to the dinner. The dances were very good and the commentary informative. Would definitely recommend Tjapukai. We loved every moment of our visit in Tjapukai Center. Everyone we met was very friendly. Show was interesting. We liked the face/arm painting. Dinner was excellent. Center has interesting art and movies about aboriginal people past and present. This was an absolutely wonderful experience....would go back again and take friends. The hotel pick up and drop off was right on time. We appreciate the transportation service provided to us. Such a fantastic experience for us Melburinians! Had a fantastic night. Great service with better than expected food!! Would definately recommend this night. Certainly a highlight of our trip. Staff were great service great and the cultural aspects very informative and well presented. Great night. 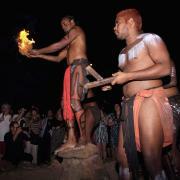 It`s a great way of learning much more of the history of the aborginial history and community. 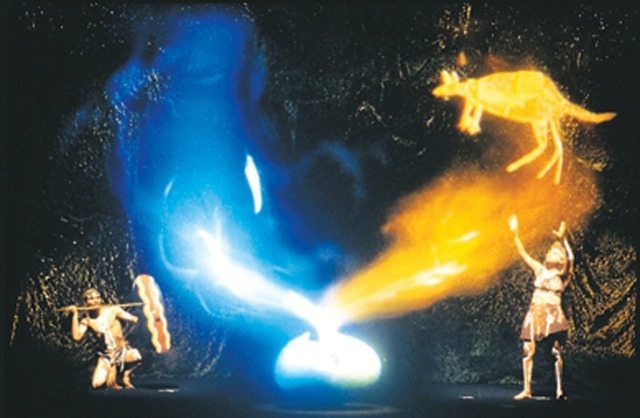 The show was great, but I missed a little more of the light/smoke and dance performance, which was described in the brochure, and that was a little disapointing. But a very very nice buffe and danceshow concluded the night, so I had a very good experience that night.